Toluna Review - Legit, Scam or Safe Survey Panel? Toluna Review – Legit, Scam or Safe Survey Panel? Toluna is one of the largest paid survey networks on the Internet. Members worldwide can join, as they accept new users from 49 countries. Currently there are already 9 million members globally that have a Toluna account. The company was first founded in 2000, and at this time there are around 900 individuals working for them worldwide. So it’s a huge paid survey site and you can trust Toluna. So there’s no need to ask, “Is Toluna a scam?” as this is one of the few paid survey companies that has proven itself. We hold them up highly, and the only paid survey panels that even come close would be — Opinion Outpost and Pinecone Research. Now, they are really at least in the top-3 list and there’s no denying that. But, that doesn’t mean you need to join on a whim; you should let yourself know what to expect beforehand. There are some surveys that pay as little as 15 points, and others that pay as much as 20,000 points. This is a huge range, especially since each 30,000 points is $10 in earnings. So you want to focus your time on the surveys that pay in the 1,000’s range. When you first sign up, they will give you 500 points for doing the new member survey. From there, you can do further profile surveys at 100 points each. Mini-surveys with one or two questions will award in the 25 to 50 points range. For a basic yes/no poll question, you’ll earn about 15 points if you answer it. These are minor earnings and don’t add up to much, you mostly want to do their full-length surveys and hope for a win in one of their many contests. If you are lucky, you will win one of their draws and take down $1,000’s in a cash prize. They have monthly prize draws, so you have many chances to win. There are also numerous winners that get selected each month for varying cash prize amounts. If you check various forums, you’ll notice many real people have actually confirmed they have won something in a Toluna sweepstakes before. You could also try your luck in the Gifties program. This lets you play (at the cost of a few points) for the chance to instantly win various possible prizes. It’s like an “instant win game” in a sense. 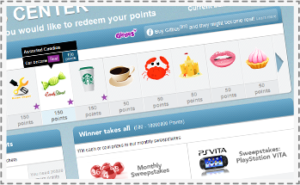 This program lets you choose gift items to purchase for your friends and/or family once you have enough points to do so. Basically, Toluna realized many of their users use the site as a way to earn extra XMAS spending money — and then they created a shopping platform for you to use, kind of like the online AIR MILES shop. Many of their members have posted proof of Toluna gifties turning real, it’s pretty incredible! You can increase your chance of winning by purchasing one of the most-bought gifties. Furthermore, their social rewards stretch on to cover small payments for doing things like creating polls and asking questions. This is a great way to fill your spare time, while simultaneously building up your balance. You might even learn a bit more about how to maximize your Toluna earnings while messing around on their forums. You can earn more at Toluna if you get invited to paid focus groups. These could award upwards of $50 per hour, and some run two hours at a time. You have a better chance of getting a focus group invite at Toluna if you remain an active panelist. Sometimes one of the surveys you take are used as a pre-screener to decide who gets contacted for the actual focus group study — so definitely stay active! Another nice little experience comes in the way of paid product testing opportunities. This gives you the chance to try stuff like body hygiene and dental care products. The big reward comes from getting to keep the product you tested, so don’t expect to make any real money this way. You can also earn 500 points off of every friend you get to join the site. It’s a small bonus, but you won’t have trouble earning it as there aren’t any extensive qualification requirements. Just forward your referral link to friends and family, and only any forums you frequent, and enjoy any earnings boost you can get. How Many Survey Invites Will Toluna Send You? Typically, you can expect to receive anywhere from one to three survey offers per day. This amount could vary, and it’s based on what one of our Canadian members reported, but it’s a fairly good rate. The surveys that came in from this report mostly paid between 1,500 and 4,500 points each. This means there could be around $2 per day earned off Toluna easily. As you can see there really are new invites each day, so sign up and start earning daily! The only real downfall is that you can get screened out far into a survey. This might feel like a big waste of time, but just remember it gives you extra chances at their large sweepstakes draws. And since real users have verified their winnings before, it’s well worth the gamble to throw some pennies into the well and wish on a sweepstakes score. What Countries Can Sign Up at Toluna? Toluna allows membership for 49 different countries currently, so chances are you can join. But you will have to watch out for whether there’s a sweepstakes draw in your area as these are regional-based. Your country will also play a major role in how often you receive surveys — in some of the less-targeted areas, it might not always be possible to get at least one survey to do each day. But whether you’re from Canada, the United States, the United Kingdom, Australia, India, Indonesia, the Philippines, or even Mexico or Brazil, Toluna is ready and waiting to send some paid surveys your way! Click here and see if Toluna accepts members from your country! Remember, there are over nine million members across the world. So there are active panelists in many regions; you might be surprised how many paid opportunities are available, even if you’re not in a wealthier country. Toluna is the one global dominant player in the paid survey industry; you might be very happy with your experience if you sign up as a Toluna paid panelist. What Do Toluna Reviews Say? For the most part, people are happy with their experience doing surveys at Toluna. The biggest positive is that they aren’t really a scam company, so you need not worry about whether you get paid. You can focus on how to use them the most to your advantage, instead of worrying about whether they’re worth your time at all. The biggest complaint people seem to have is about their points expiration policy, which says that all points expire 12 months after they are earned. This makes it hard to save up for a physical prize that takes a bunch of points, as there’s no guarantee you’ll get enough points earned before it’s too late. This has discouraged some of their members, particularly those who weren’t aware of the points expiry policy. Overall, Toluna is a resounding must-join for any serious paid survey panelist. 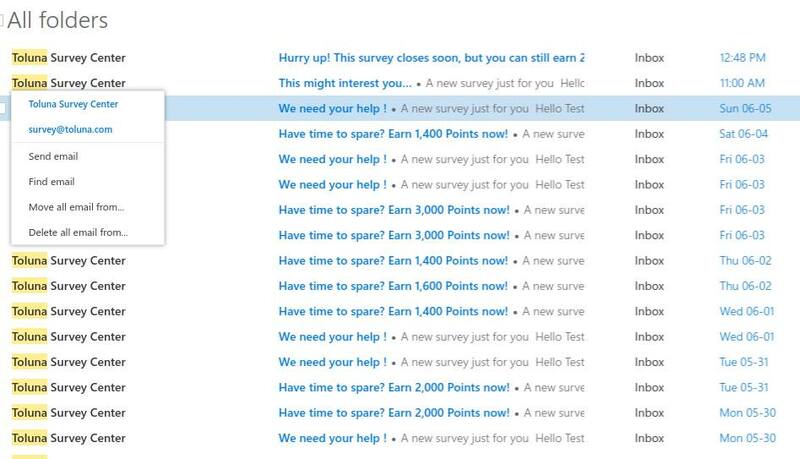 They will pay out if you earn enough, so it’s always worthwhile to take their higher-paying survey invites. You won’t quit your day job off doing their low-end surveys, so just take advantage of the ones that pay the most and use the rest of your time elsewhere. Is Toluna right for you? join now and start watching the invites pour in … you won’t regret it!